Ask anyone in the world if they've seen The Simpsons they'd pretty much would all say yes, but ask if they remember the character McBain, named as Rainier Wolfcastle, they'd probably think of a cartoon version of Arnold Schwarzenegger, which this game is based on! 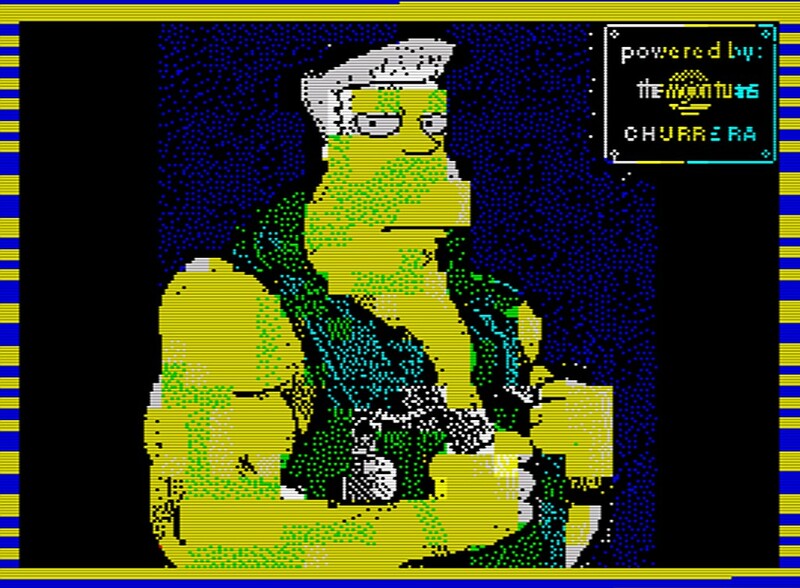 Yes indeed, Wolfcastle McBain developed by C. Oscar Garcia, is their very first ZX Spectrum game made with La Churrera, and puts you in control of McBain, blasting away enemies in a top down view. As the game instructions are not in English, I basically had to work out what to do on my own, and let me tell you although the game is fun blasting away enemies, picking up items and visiting the many different pretty screens, It does have a few things which I really don't like! Firstly I can't stand games whereby enemies are attached to you like glue, so it doesn't matter whereabouts you are on the game screen, they are in exactly the same close position and move as you do. 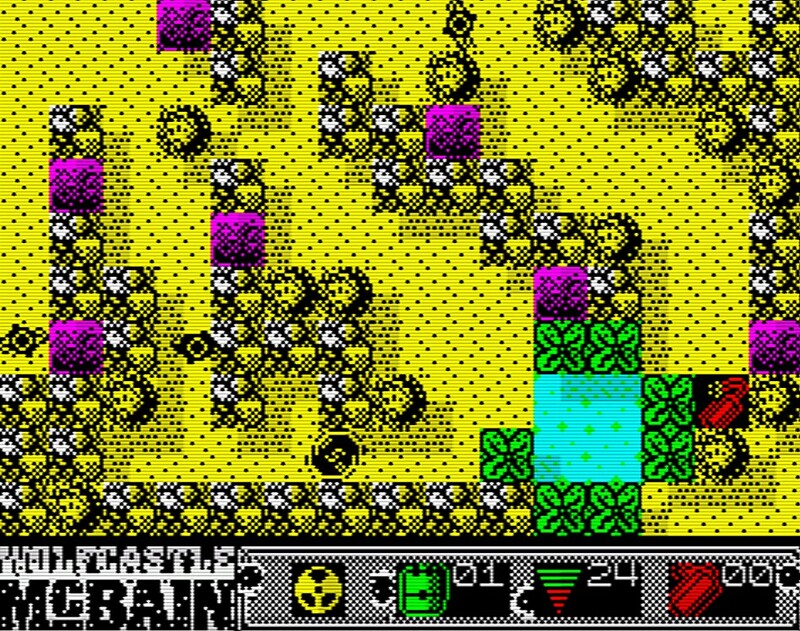 Secondly, some of the enemies which spawn are way too fast, almost impossible to avoid or to shoot at until its too late and your health rapidly drops. But other than those issues I did enjoy playing the game and graphically it's a very pretty release, so yes it's still worth a download.